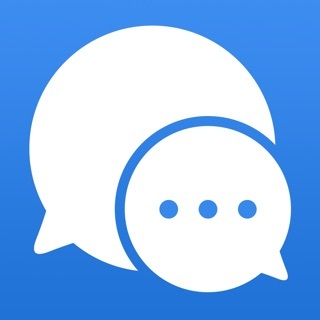 CorpChat private messenger is an impressive safe communication aid. A user can log in this application without using any phone number. A cryptocurrency wallet is integrated into this application (i.e. bitcoin including other cryptocurrencies to be used later). Anonymous groups and chats. Several private IDs to be assigned to one account. CorpChat provides additional Private IDs, anonymous and temporary groups, data delete codes and many other things! There are other high-end messenger functions such as chat communication, file sharing service, profile and notification settings. Global Internet users can obtain anonymous and absolutely free access to this all-in-one application! 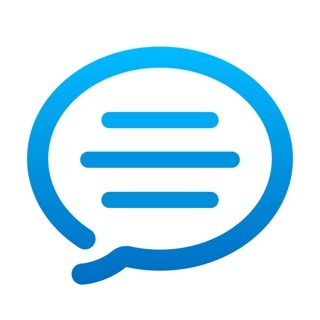 - FREE MESSENGER: No payments are required for using this messenger and, therefore, this application lets you message your safe contacts absolutely free. - CRYPTOCURRENCY WALLET: Transfer and receive bitcoin currency directly through your application (other cryptocurrencies are to be used later). Your built-in anonymous wallet lets you send currency directly through your contacts and transfer it to other app wallet addresses. - CONTACT AND DATA SAFETY: All contacts and data processed by this application are duly coded and saved on the server. - WIDE RANGE OF SAFETY SETTINGS: An app password, contact and data delete code, remote link control and other safety settings will maximally protect your CorpChat communication process. - CONTACT GROUPS: create temporary and anonymous groups and chats for improving of user communication safety. - CREATING MAXIMUM 3 PRIVATE IDs: Every user is allowed to create several (maximum x3) unique identifiers (IDs) to be used for communicating with friends and colleges. Just press a key, when necessary, to delete any unsuitable account containing irrelevant contacts from the messenger and your partner device. - INDIVIDUAL CONTACT LISTS FOR EACH ID: You can forget about problems occurred when sorting personal and work contact lists. Now, a particular contact list may be assigned to each ID including the option of adding necessary contacts simultaneously in several lists. - SWITCHING BETWEEN VARIOUS IDs: Make several clicks to switch between various accounts while keeping any current session enabled. You will be accessible in all available ID accounts. App log-in procedure is simple and fully anonymous; it does not need confirmation of an E-mail address, as well as assignment to a mobile phone number or to social media accounts. It ensures safety of personal user data and contacts. CorpChat Private Messenger is a service that is accessible on any smartphone and desktop and does not need any special OS. CorpChat is a fail-safe and highly reliable multitask application! Now, you can continuously communicate with your family, friends and colleges keeping out of creating multiple accounts including different logins and passwords, safe chats and temporary groups. CorpChat is a single messenger service that is capable to cover all necessary user accounts! Safety in details is CorpChat Private Messenger! CorpChat offers encrypted calls as recurring subscription for 39.99$ per year. Now ELEET is called in a new way - CorpChat. You will find a lot of new and useful for the safety of your communication and business. Meet the long-awaited function of encrypted calls! Now it is available to all our users! We are actively working to improve the functionality and stability of calls from anywhere in the world. Приложение конечно супер, но может это спец службы все замутили!!? ?